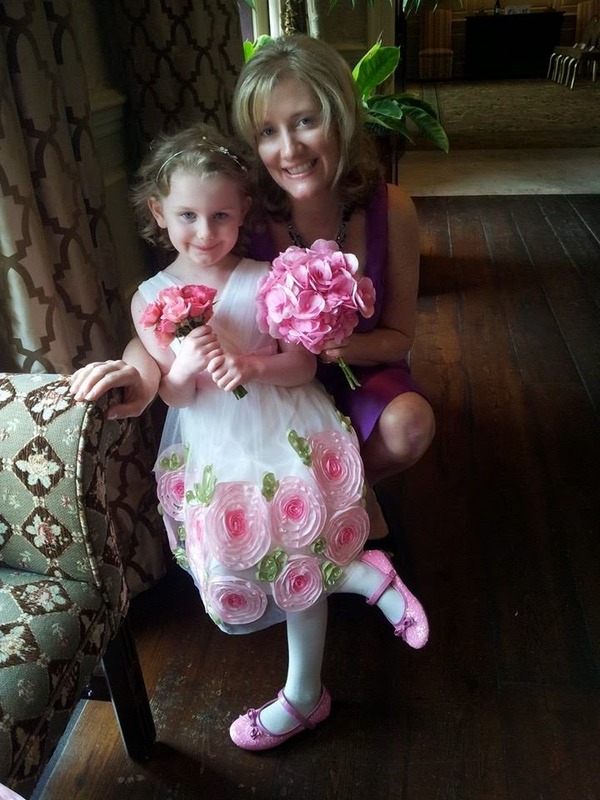 A friend of mine was married this month, and my little diva was her flower girl. It was a very special day for her, and she adored every minute. I was proud of her. 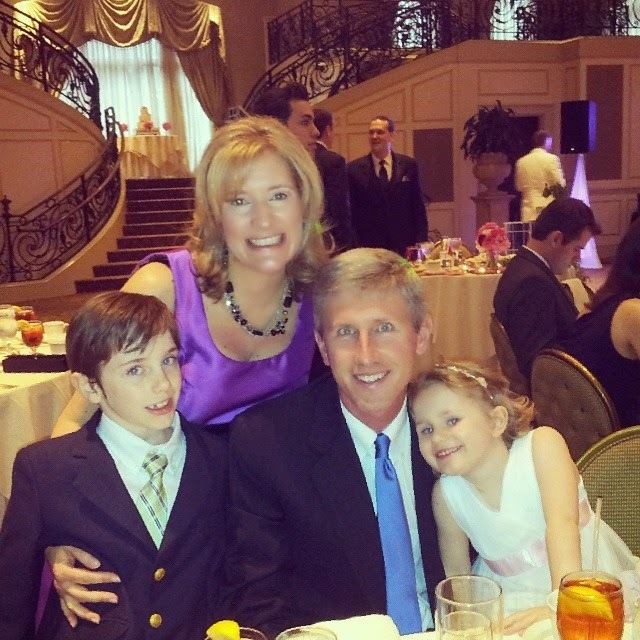 We had a great time at the wedding which was held at Prestonwood County Club in Cary, N.C. It is a lovely venue for a wedding. It was also fun to see my son and husband in a coat and tie. My husband works in a casual environment so suits are not the norm. The weekend before the wedding, Will and I celebrated his 48th birthday at the Fearrington House Inn and Restaurant in Pittsboro, N.C. I'll have more on Fearrington Village for my next "Pack Your Bags" feature, but I wanted to share a few things about our trip today with you. 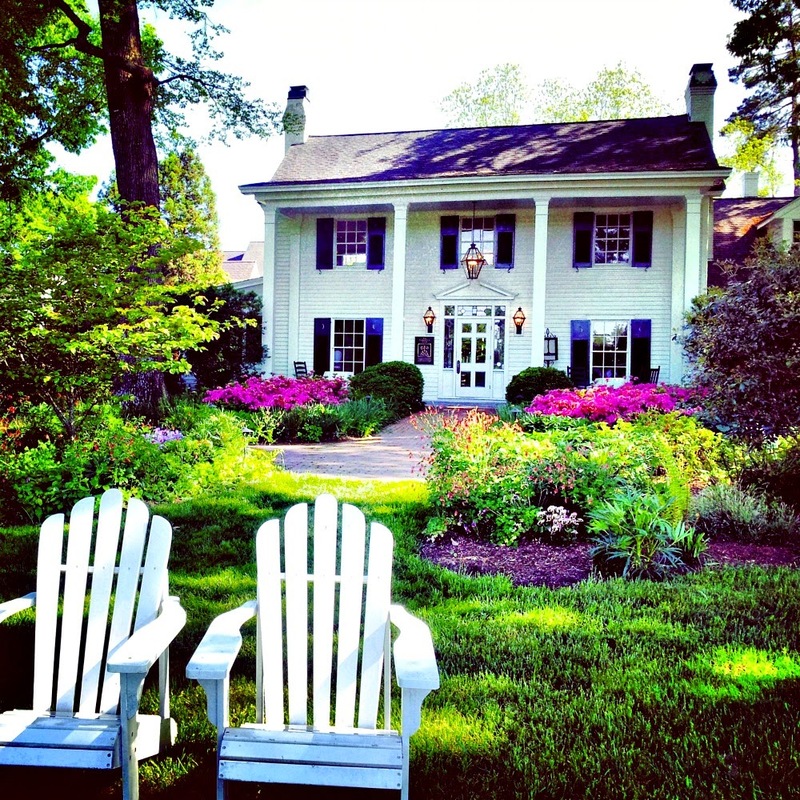 The five-star, The Fearrington House Restaurant, is located in this historic farm house. 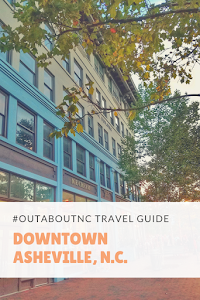 I've dined there several times through the years, and it is one of the best fine dining establishments in North Carolina. It remains a favorite of mine. 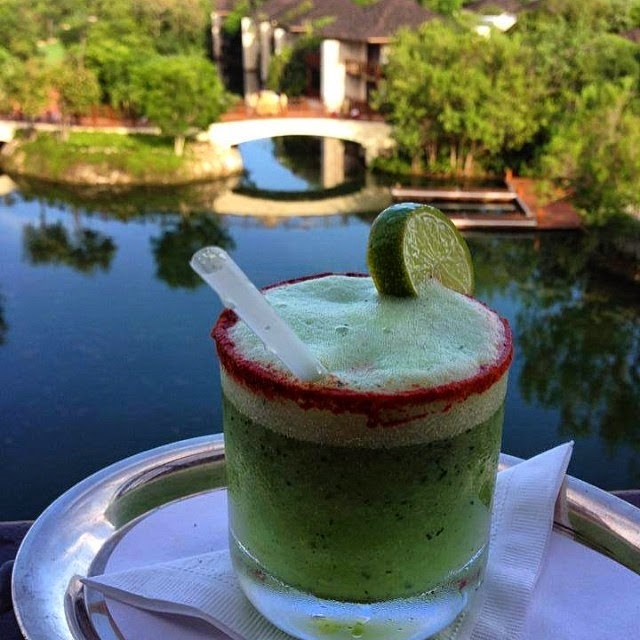 It also gets praise nationally, and has been named as one of the Top 10 restaurants in America. The restaurant is under the culinary leadership of Executive Chef, Colin Bedford, who was recently named a Grand Chef by Relais &Chateaux. It is a very prestigious honor. For our dinner, we had Chef Bedford's tasting menu along with the Sommelier's perfect world wine pairings. Will chose the main tasting menu and I chose the vegetarian tasting. I'm not a vegetarian, but the tasting menu is at least eight courses so I decided to go a little lighter. It is a spectacular experience, and really is a once in a lifetime opportunity. The tasting menu is $125 per person (vegetarian is $110 pp) and an additional $105 for the wine pairings with the tasting menu. 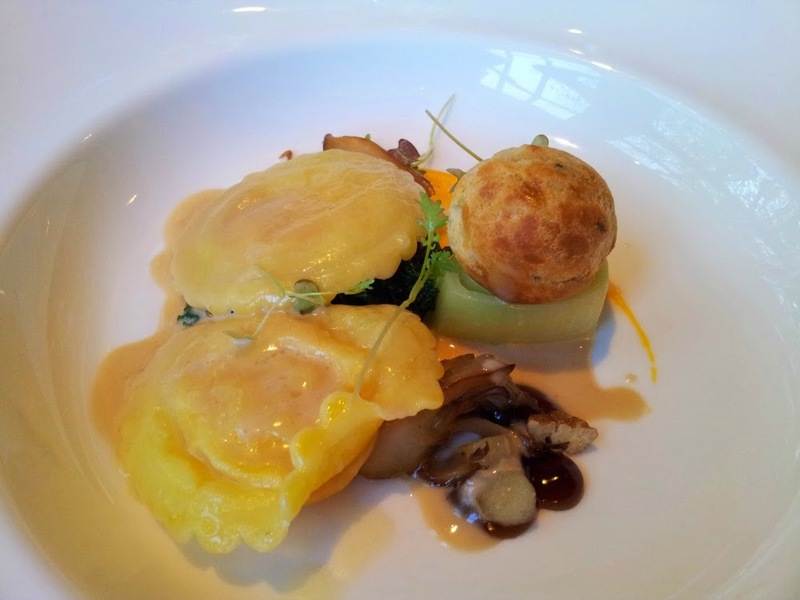 My main entree was butternut squash ravioli with pecan puffs and pear butter. The dish also had baby leeks, cinnamon, and kale. It was outstanding. Honestly, every course was perfection. We ended our evening tasting Chef Bedford's famous chocolate soufflé. 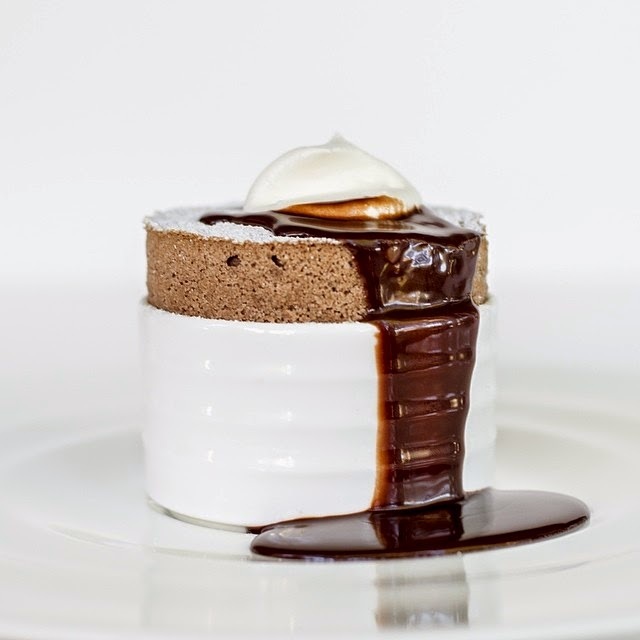 He recently appeared on The Today Show to tell us how to make the soufflé at home. If you watched the video then you heard Chef Bedford's British accent. After dinner, he walked over to our table. I did not finish all eight glasses of my wine with dinner, but I had tasted plenty and may have been slightly giggly by that point. With that dreamy accent of his, he asked us what we thought of our dinner. As soon as he spoke, I acted like a star stuck school girl and I have no idea what I said after that other than the fact that it was all delicious. Everyone in the restaurant started staring because the culinary star had made an appearance at our table. We then went outside for a photo, leaving everyone wondering "who exactly are they?" A very memorable evening, indeed. The Fearrington House Restaurant opened in 1980, and it continues to be one of our State's best restaurants. 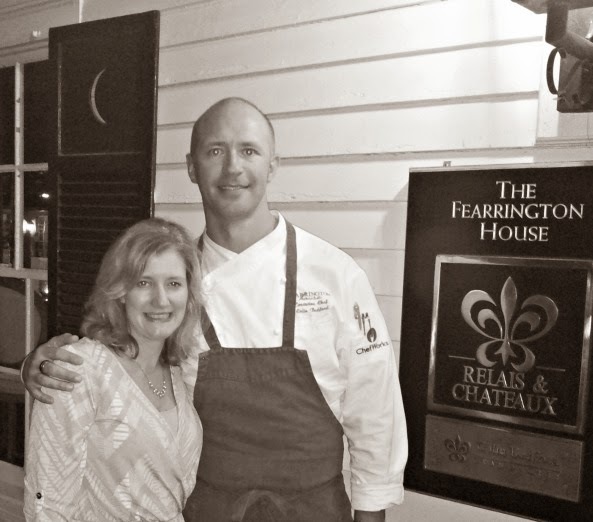 I'm also a big fan of Chef Bedford, and the entire Fearrington House team. 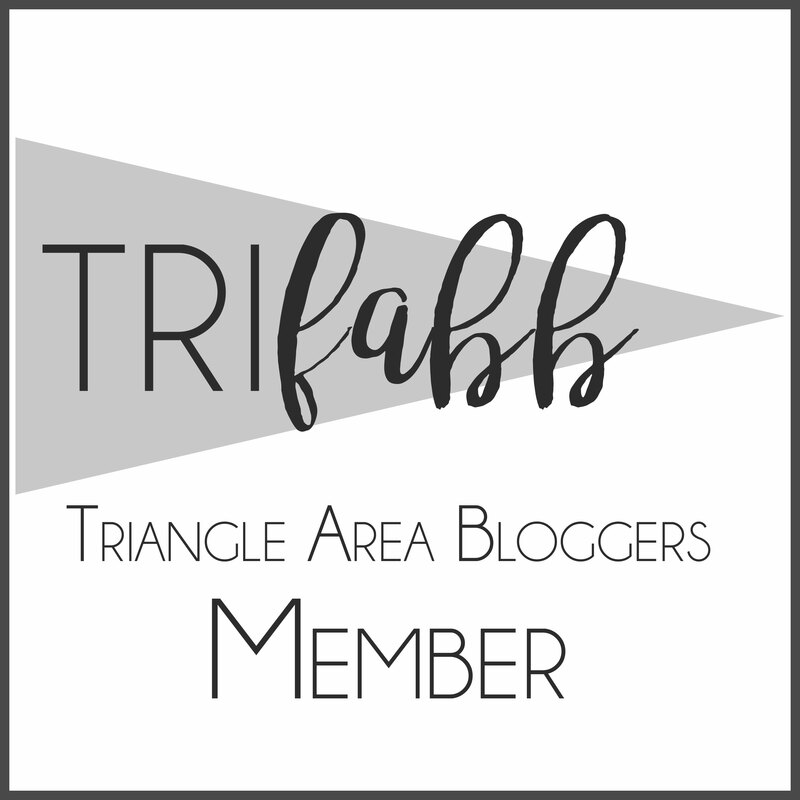 I'm so glad to have their talents in North Carolina. Have you ever dined at The Fearrington House? All right. I've made up mind. 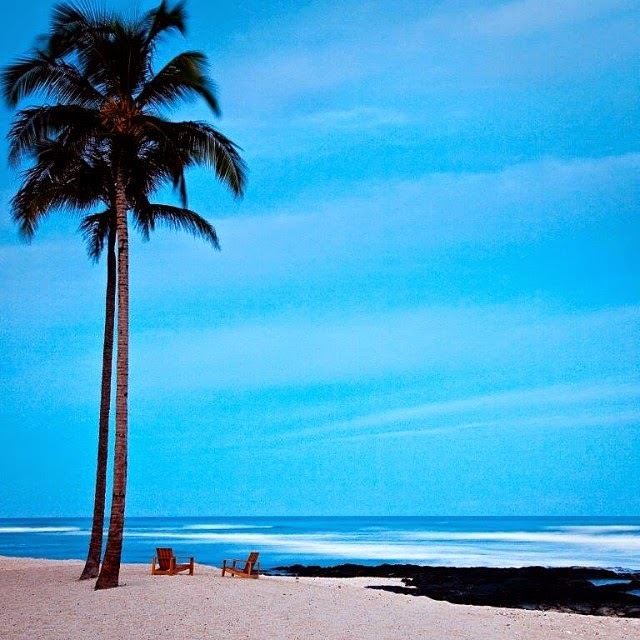 I'm saving all my pennies, and will one day visit the Four Seasons Resort Hualalai at Historic Ka'upulehu. I've never been to Hawaii, and it' s on my bucketlist. 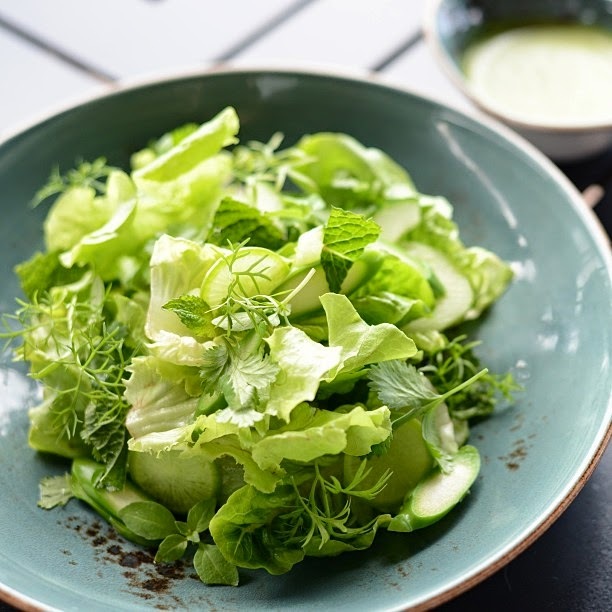 In my opinion, the hotel's Instagram feed makes plain old lettuce look simply divine. I'll have that salad with this cocktail. And then I'll sit here. And if you want, you can swim with the fish. That may actually freak me out a little, but I still want to go and have my kids swim with fish. 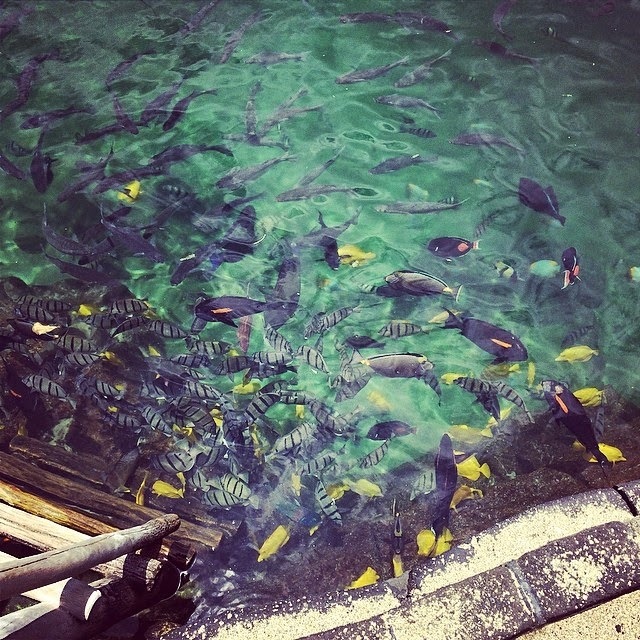 King’s Pond at Four Seasons Resort Hualālai is a place where humans and fish swim as one. Carved from lava rock and filled with white sand for easier viewing, this giant snorkelling aquarium is home to more than 3,500 tropical fish. Guests are also encouraged to bring kids along for eagle ray feeding at designated times. But, back to the food. The hotel specializes in farm-to-table cuisine. They host a farm-to-table luau weekly. These heirloom tomatoes look so good that my mouth is watering just looking at them. Yes, I know. I'm obsessed with Four Seasons Instagram accounts. They share such great cocktails and food on IG, and you can't gain weight looking at photos. Like I said. I want to go to Hawaii one day, and this will be my vacation savings goal. The social media team has convinced me that this destination is worth visiting. 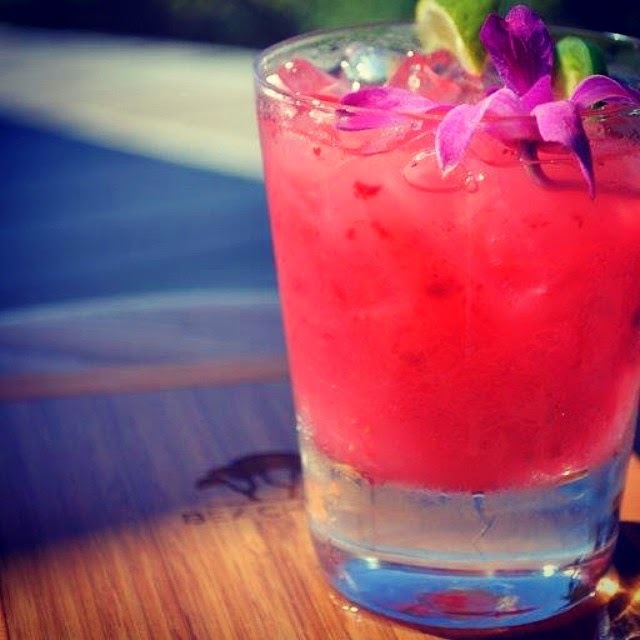 You can learn more about the Four Seasons Hualalai and plan your own family vacation on its website. 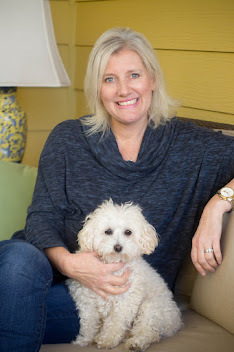 I fell in love with the day-by-day agenda for families. And in other local luxury hotel news. 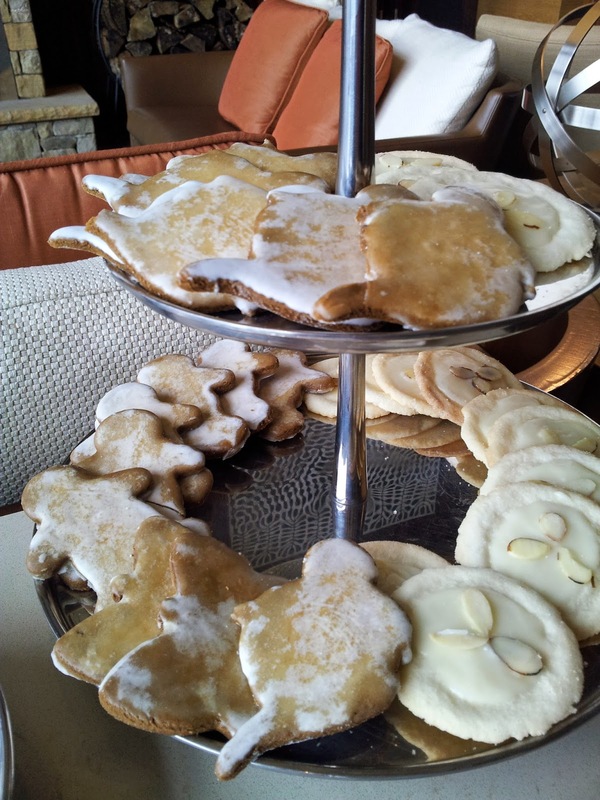 The Umstead Hotel and Spa in my hometown has a new pastry chef. You can read my article about that on Examiner.Com. I can't wait to sample some of his desserts. Something odd happened to me the other day. I was dining in a well-known chicken restaurant near my house for lunch, and found myself craving another restaurant's chicken sandwich instead. I would have rather had the crispy chicken sandwich from PDQ. Before last month, I had never stepped into a PDQ, which stands for People Dedicated to Quality. 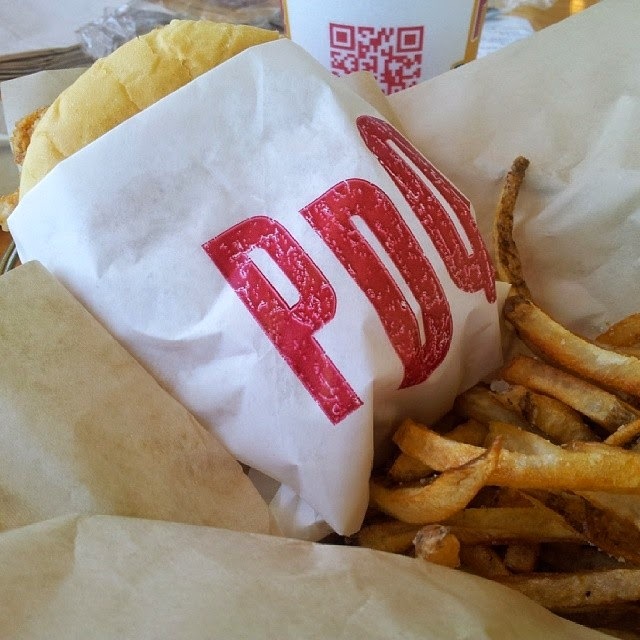 PDQ is a fast casual restaurant specializing in hand-breaded chicken tenders, fresh-cut fries,salad, sandwiches, and hand-spun milkshakes. The restaurant began in Florida, and we now have a few locations in the Triangle. I took my Mom and daughter with me to a media event at the restaurant's new Falls of the Neuse location in Raleigh. We toured the kitchen, and learned about the restaurant's commitment to making everything fresh and in-house with no preservatives. Nothing is brought in to the restaurant frozen. 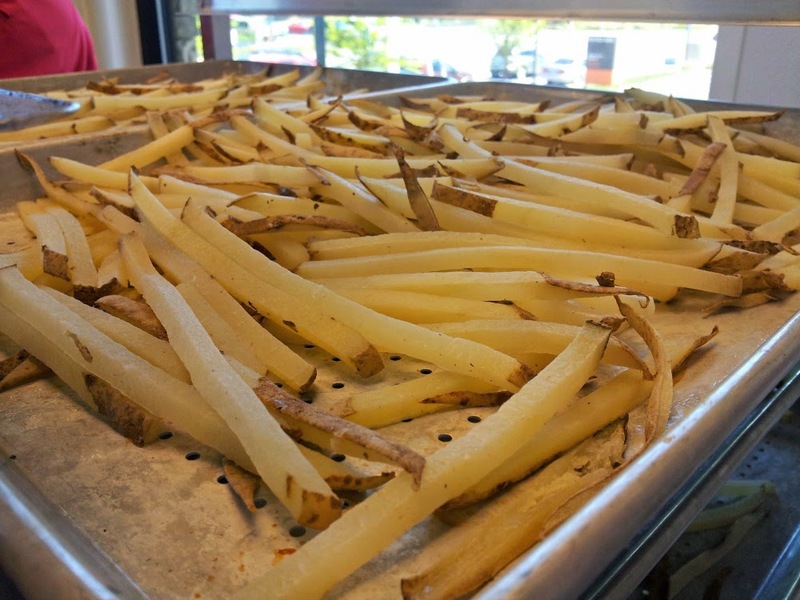 Fries are cut and chicken is breaded on site. I was impressed. 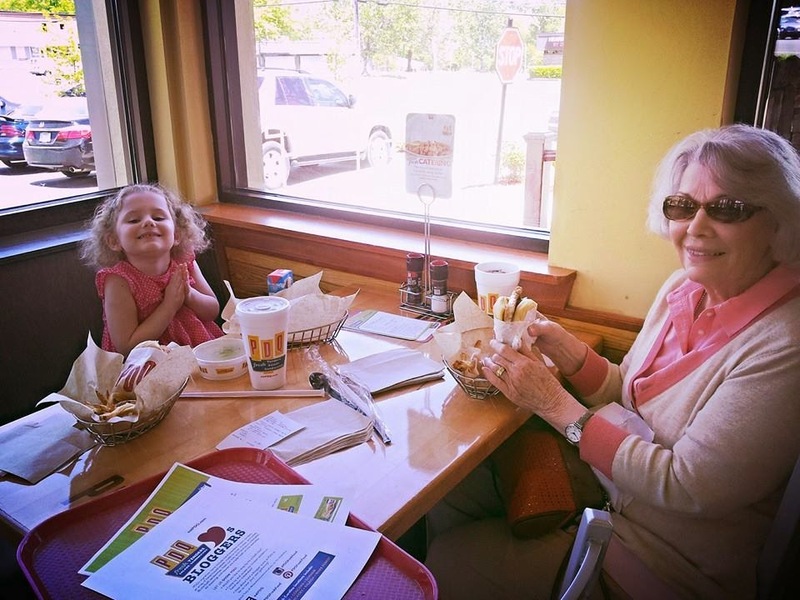 MiMa, the food critic, was so impressed that she took her neighbor there for lunch two days later. 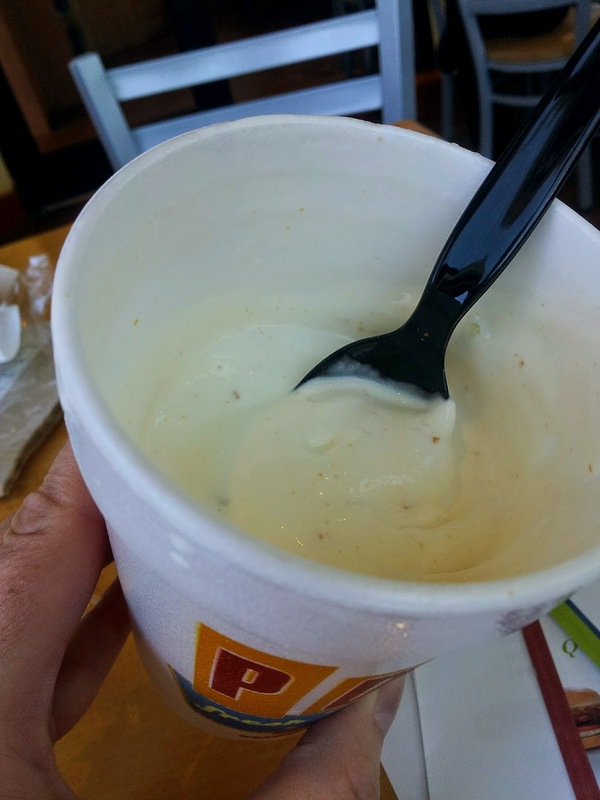 Because PDQ specializes in poultry, the menu is pretty straight-forward so don't go looking for a turkey Reuben or a burger, but you can find chicken tenders, grilled chicken, crispy turkey sandwiches, blueberry coleslaw, and hand-spun milkshakes that are delicious. A sandwich, your choice of a side, and a drink is priced under $8. My only complaint is there is not a location close enough to me yet so I'll have to make a point to get on that side of town from time to time. There are seven PDQ locations in North Carolina, and an eighth location will open in Winston-Salem soon. Parents, PDQ does not offer a play place so you will still have to go to the other chicken restaurant on occasion to do that, but I will say that my daughter polished off a chicken tender and a milkshake without any problem. 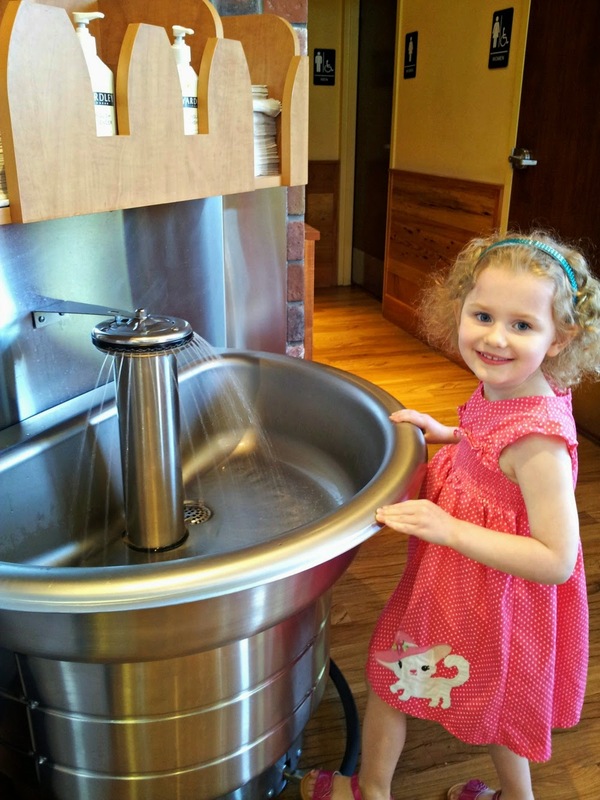 She also loved being able to wash her hands at the hand-washing station. My guess is if your child gets a hand-spun milk shake then she will forget all about those crazy slides. Don't forget. They have homemade cookies, too. 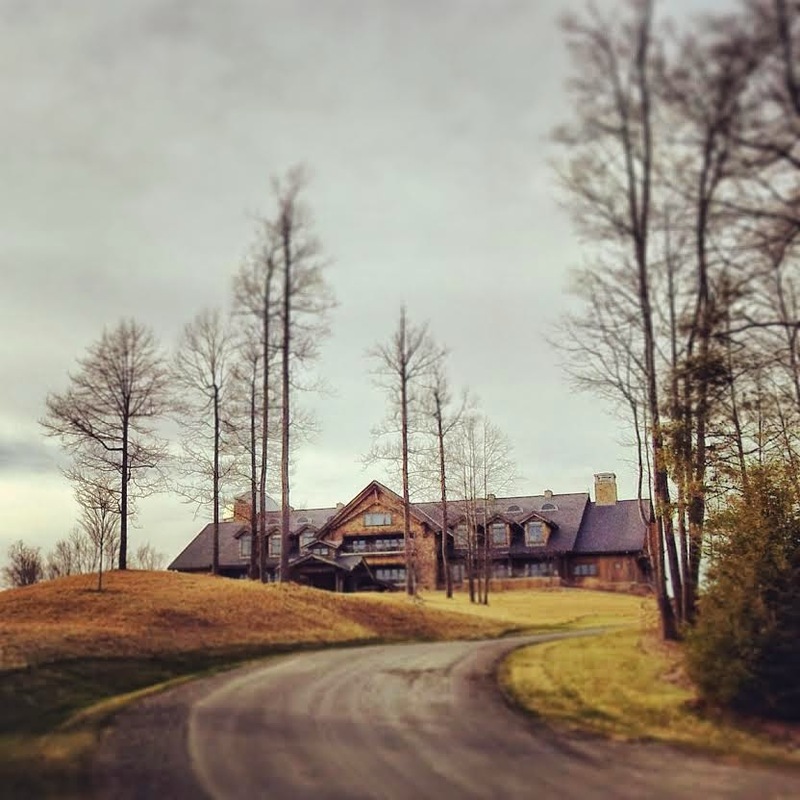 As you may have seen from my Instagram feed, I visited the Primland Resort in Meadows of Dan, Virginia last month with my family. When I tell people about the resort, I get a puzzled look from them. 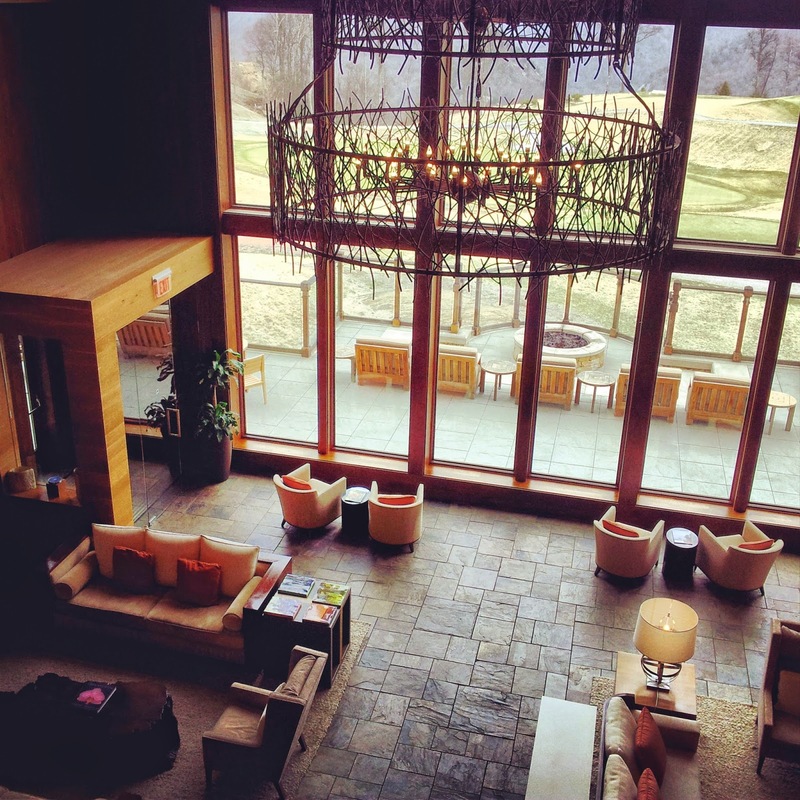 Even though the resort is highly ranked, many people have never heard of Primland. I'm going to give you the inside scoop because it's definitely a place worth visiting. Honestly, you will feel as if you have transported yourself into the middle of nowhere. But, in reality, this Virginia resort is only a few hours away from Raleigh, N.C. and an about 90 minutes from both Greensboro, N.C. and Roanoke, Virginia. The resort is also only 30 minute's away from North Carolina's "Mayberry." The surprising thing is when you enter the Primland gates, you are still 20 minutes away from the main lodge. 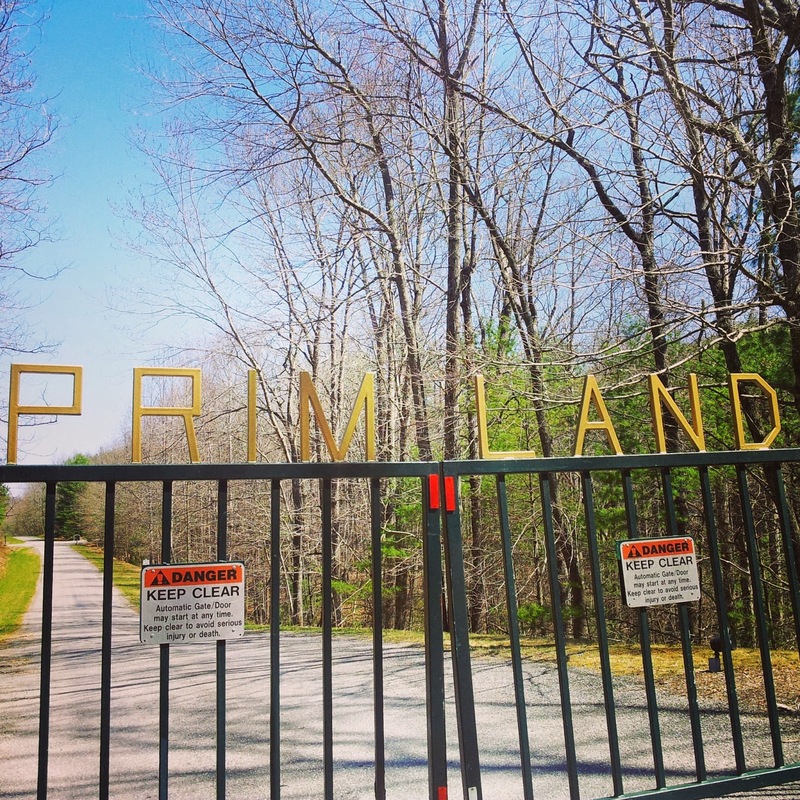 The Primland sits on 12,000 undeveloped acres. It is truly nature's playground. 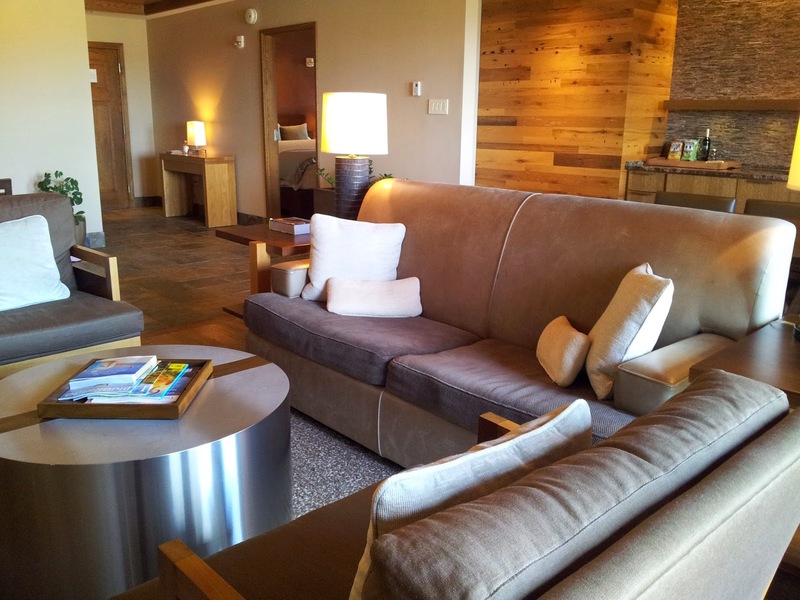 The Lodge is a European-influenced mountain retreat with just 26 rooms and suites. The resort owners are Swiss, and they've gone to great measure to personally hand-pick the decor. The lobby area is modern, but yet warm and inviting. I would call it sophisticated chic. My family of four stayed in a Blue Ridge Suite. These rooms consist of a living room with a sleeper sofa, full-dining room, and an office area. 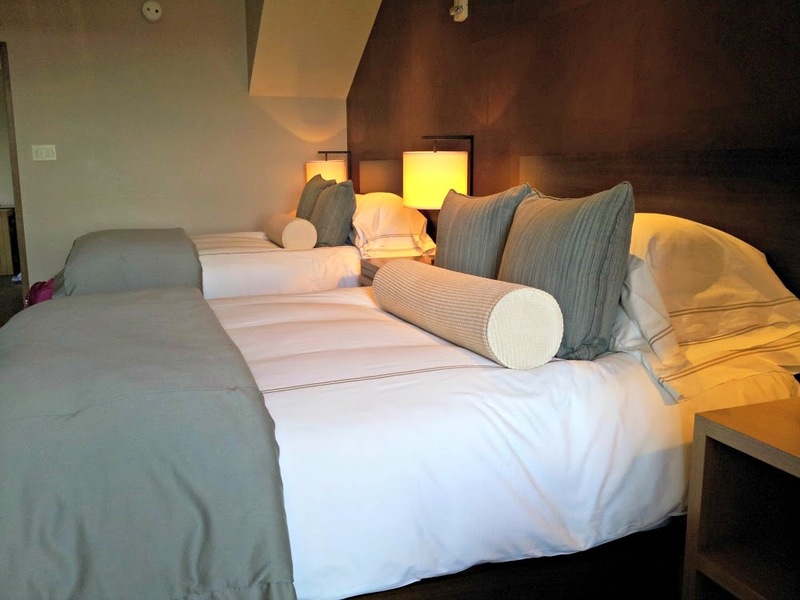 Adjacent to the common room is a spacious bedroom and enormous bathroom. I personally thought the guest room was stunning. There were little extras like Primland Apple Cake on the table, hot chocolate for the Keurig, robes, slippers, and luxurious European bath amenities. 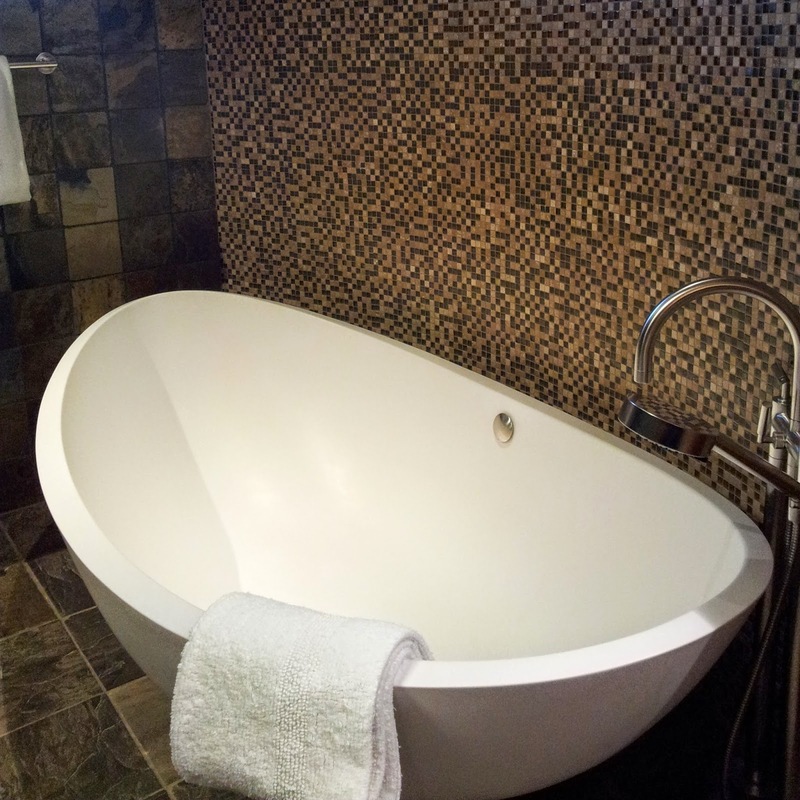 I sometimes get hung up on bathrooms in my hotel stays, and I don't want to bore you with details, but the gigantic tub, and open shower were really top-notch. There's a lot to do at Primland in terms of resort activities, but honestly, the rooms are so gorgeous that it was fun to hang out in the room for a little while. My daughter and I did just that as we waited for her spa appointment in the afternoon and the boys went on a hike. She watched TV. I caught up on Instagram, and we were quite content in our luxurious surroundings. The resort also offers tree houses, Fairway cottages, and mountain homes as lodging options. The spa is located on the lower level of the lodge, and it was a convenient elevator ride down from our room. In fact, I went downstairs in the hotel slippers. 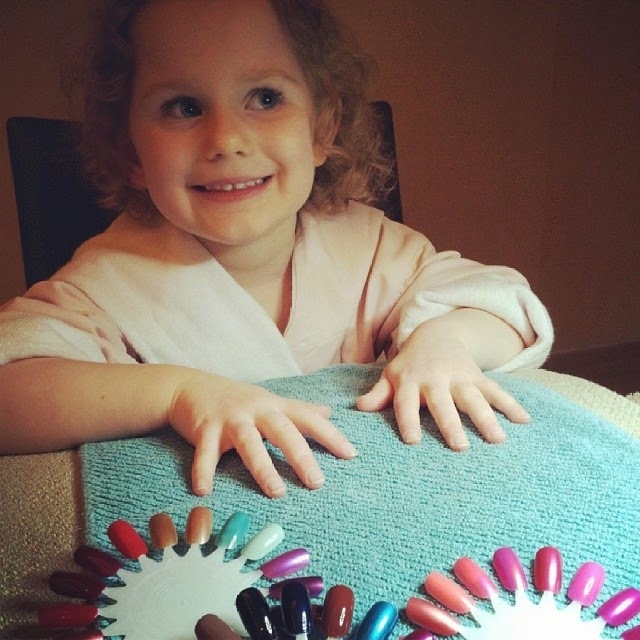 I mean if you are not going outside the hotel in them then why not just use them for the spa. It was a lot better than putting on my sneakers. 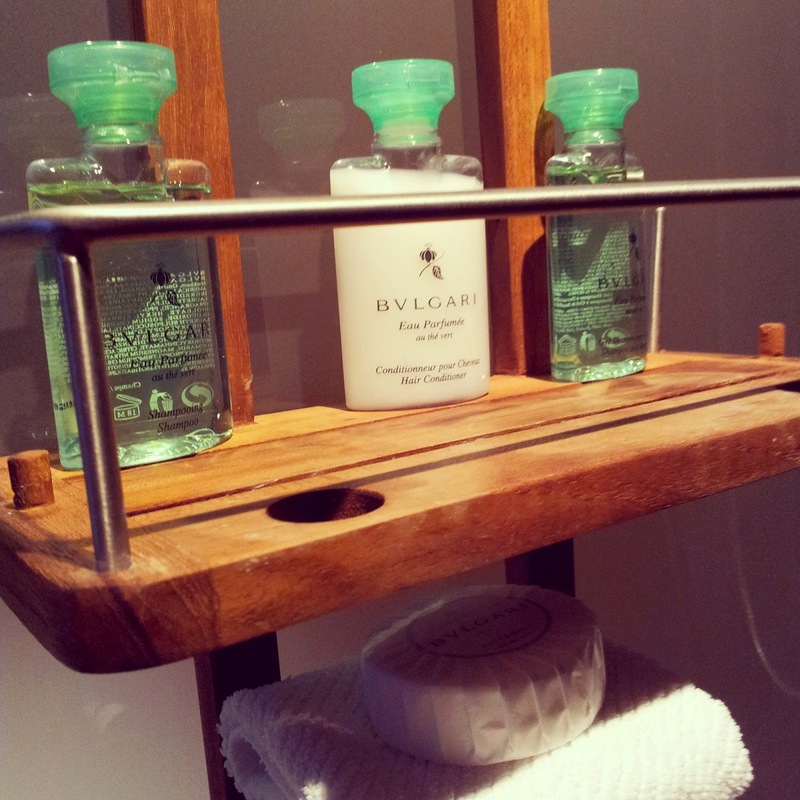 The spa is not as large as some other spas I've visited, but it's very luxurious and has a boutique feel about it. 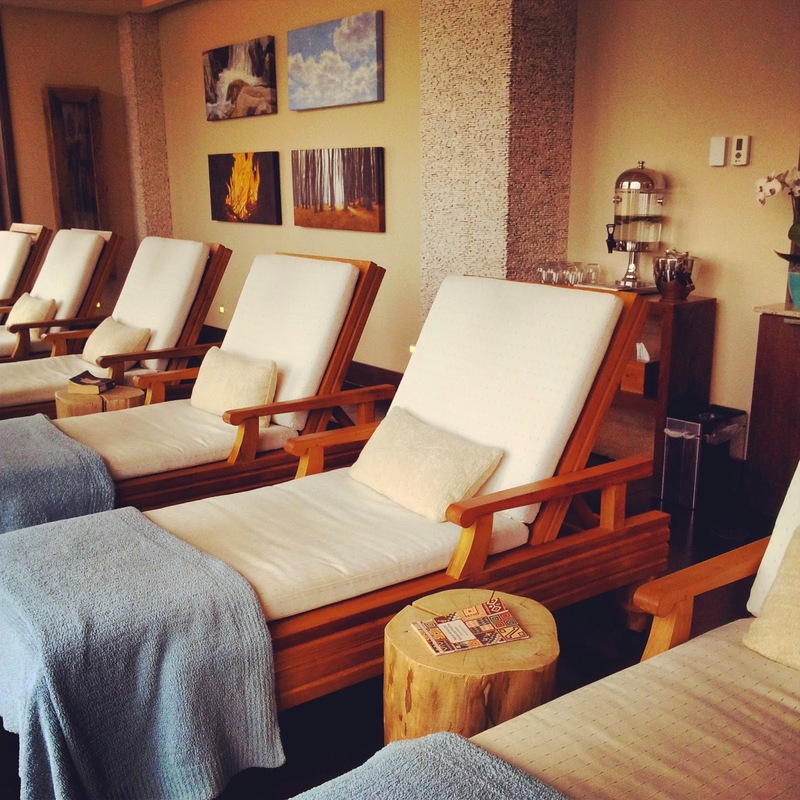 The spa's Native American influence and philosophy set the spa apart from others. 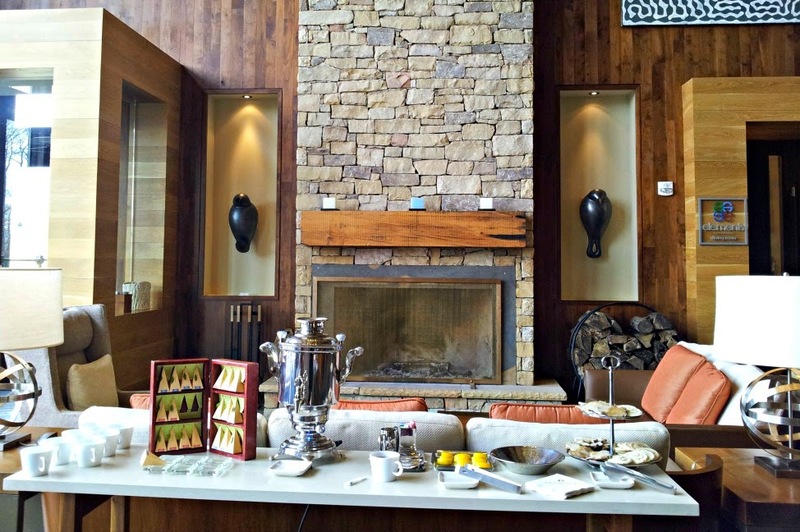 The Primland Spa is also very family-friendly, and you can read more about the Primland Resort Spa in a travel feature I wrote for Skimbaco Lifestyle. 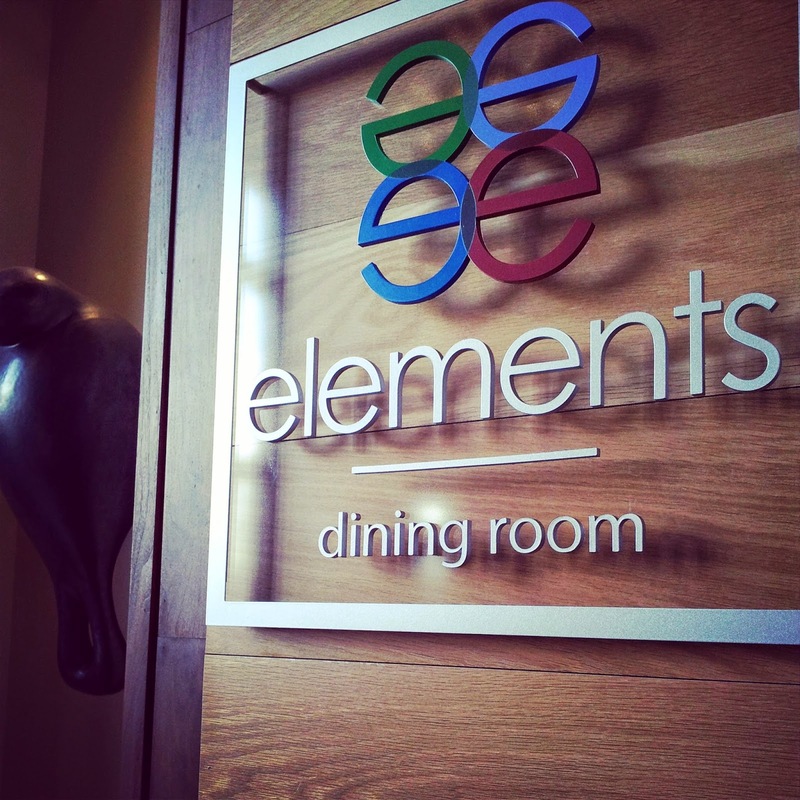 Elements is the main restaurant in the Lodge. 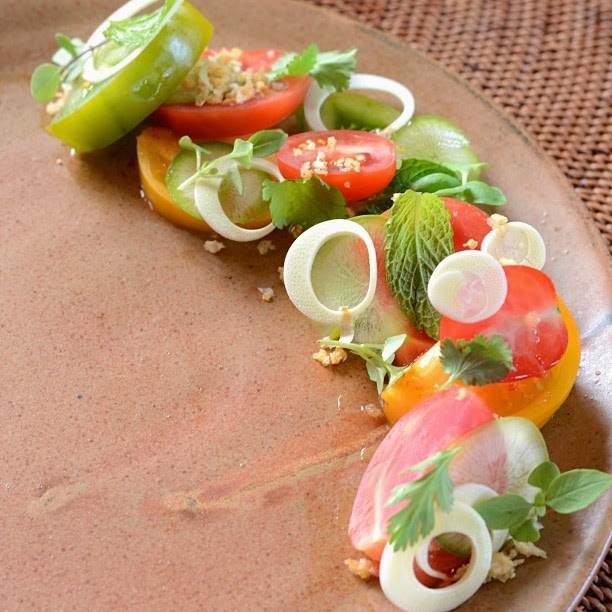 It's French-inspired New American cuisine with a farm-to table approach. The restaurant is a culinary experience with a jacket-required type environment. I skipped the experience because I thought it might just be too formal with the kids,especially for the day we arrived when kids are normally tired and cranky from traveling. 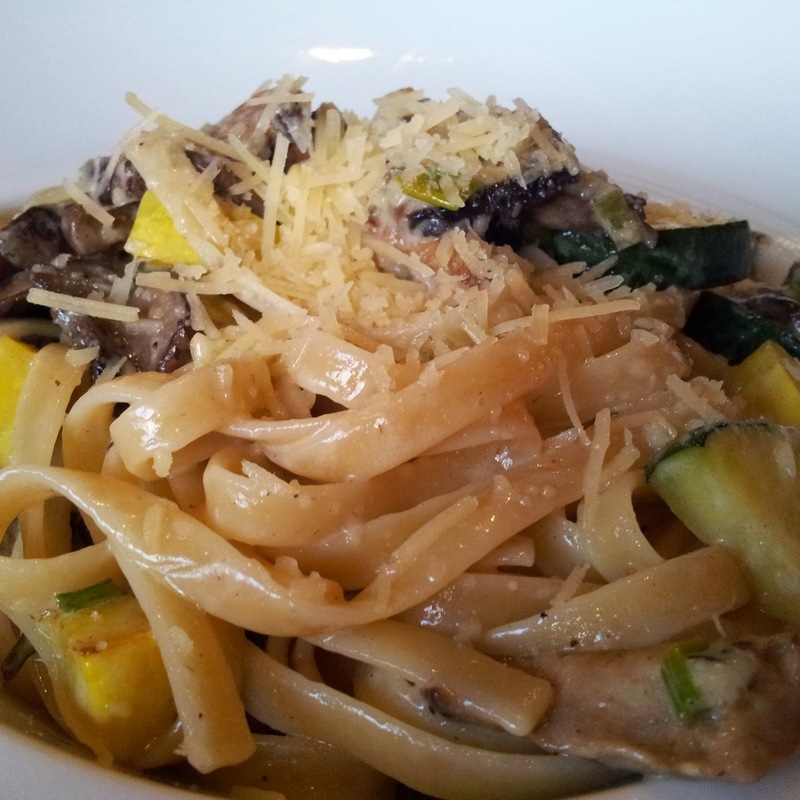 Elements does have a kid's menu and certainly welcomes children for all meals. We chose to dine with the Primland's General Manager at the 19th Pub, which is a very small bar in the Lodge overlooking the 18th green, and is under the culinary leadership of the Elements Executive Chef, Gunnar Thompson. It was perfect for us, and the food was divine. The 19th Pub menu takes a cue from its sister restaurant, Elements, with a farm-to-table menu. I enjoyed our meal a lot, and in my opinion, the cuisine there is a slight culinary step above the resort's other casual restaurant, The Stables Saloon. 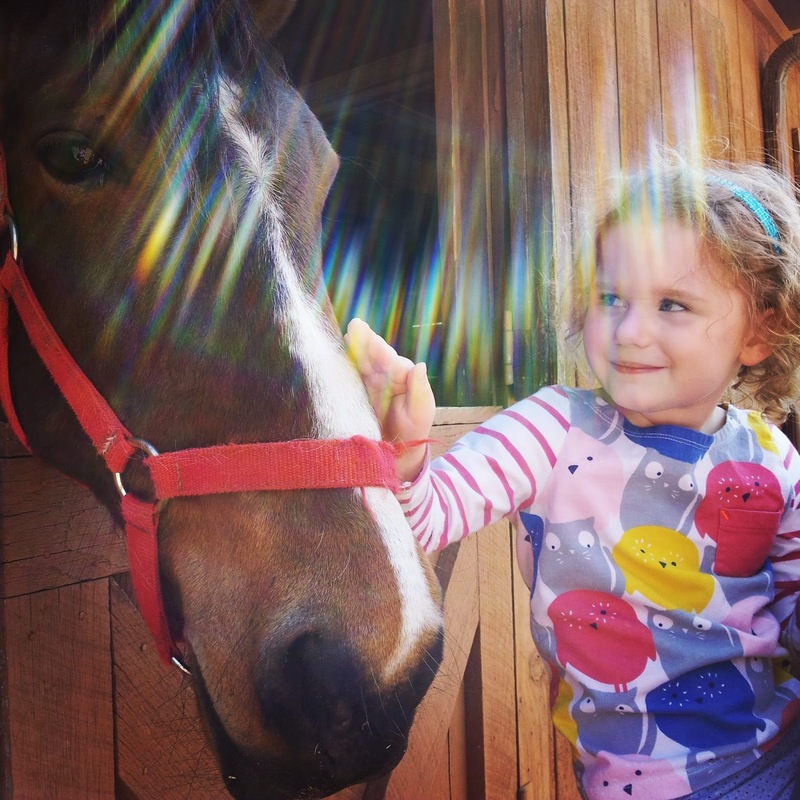 The Stables Saloon is very kid-friendly though, and it does give guests another casual option on property. It's located about 10 minutes from the lodge in the original horse stables. My food was good, but the 19th Pub cuisine was more memorable for me and really wowed me from a foodie perspective. 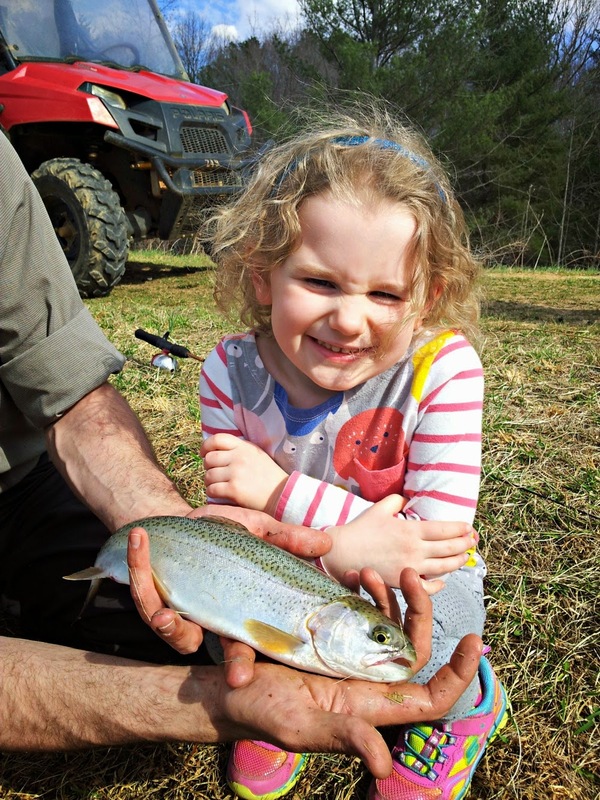 And knowing about Chef Thompson's Relais-Chateaux background, I think Elements is something not to miss if you think your kids are up for the experience, or if you are traveling as a couple. 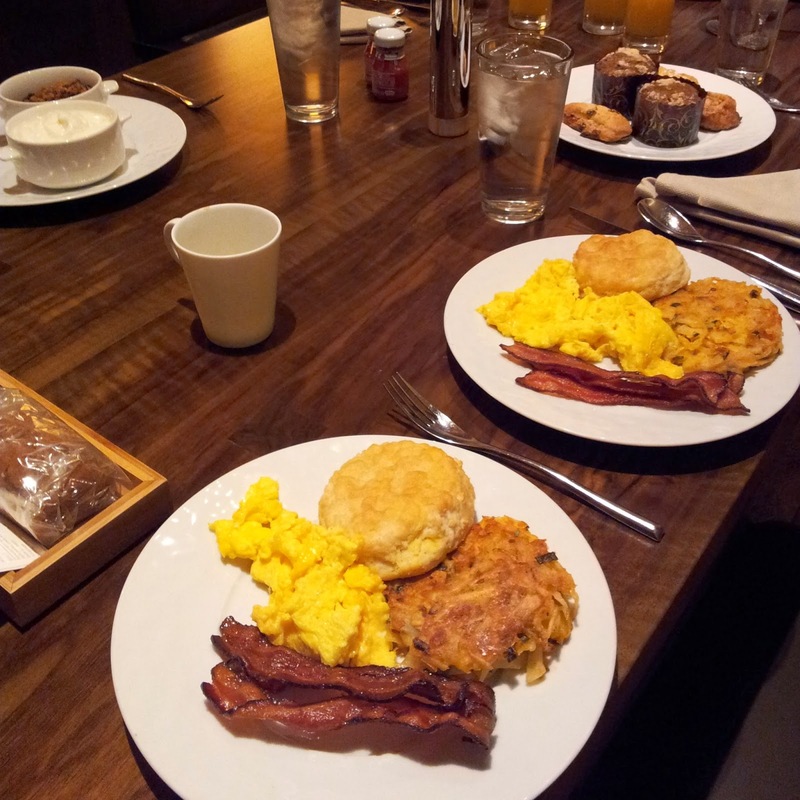 Elements serves breakfast until 11 a.m. My press agenda called for room service during out stay, and that was a delight. The full-dining room table in the suite made breakfast as a family very enjoyable each morning. Most people don't like to sit in a hotel room as much as I like to do. 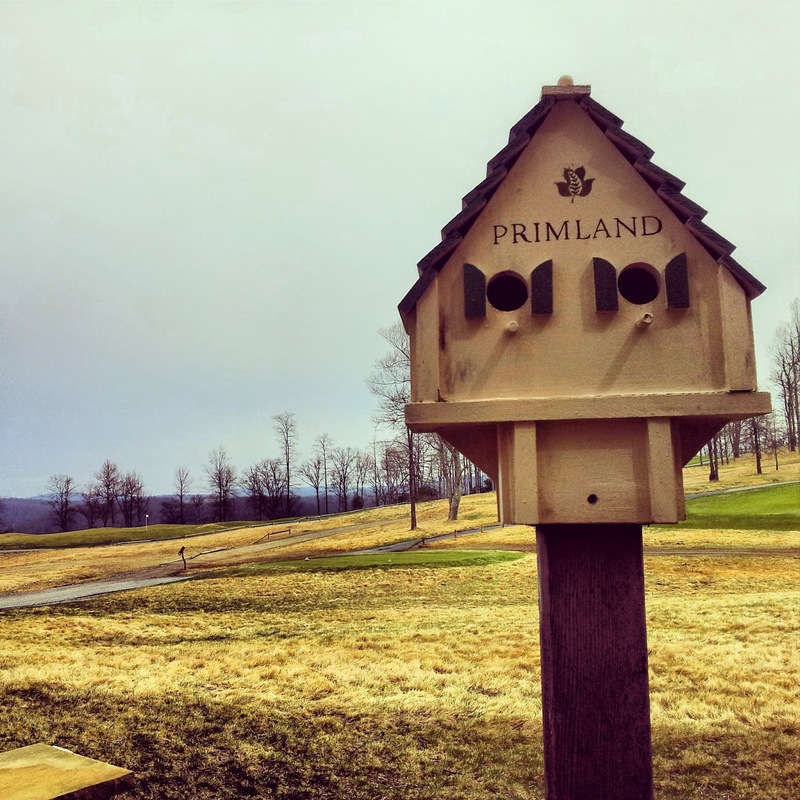 Primland definitely has you covered for things to do while visiting. There is golf, tennis, hiking, geo-caching, fishing, ATV rides, horseback riding, shooting, stargazing, and indoor swimming. It's pretty amazing. 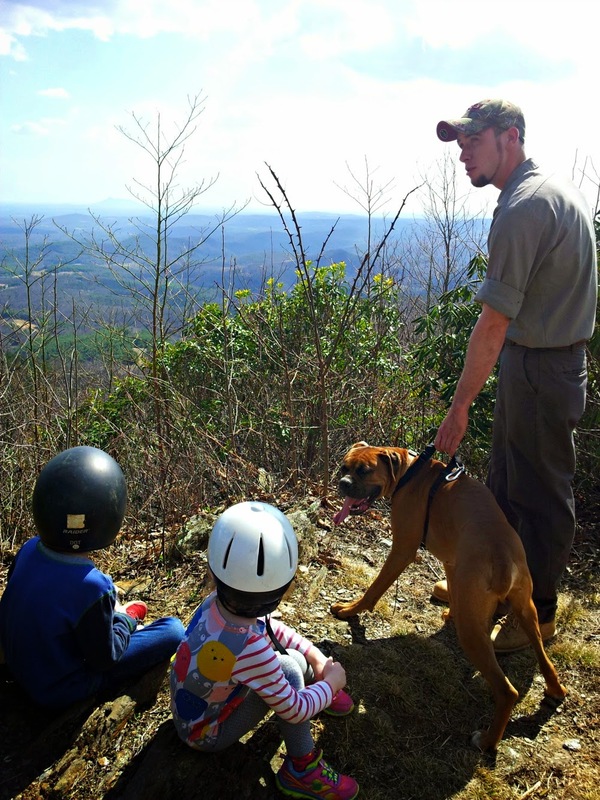 Adventure is the current trend in family travel, and Primland is on the cutting edge. The hotel will pack you a picnic lunch, and all 12,000 acres are yours to explore. I go into a little more detail about Primland's adventure side on this travel feature for Skimbaco Lifestyle. 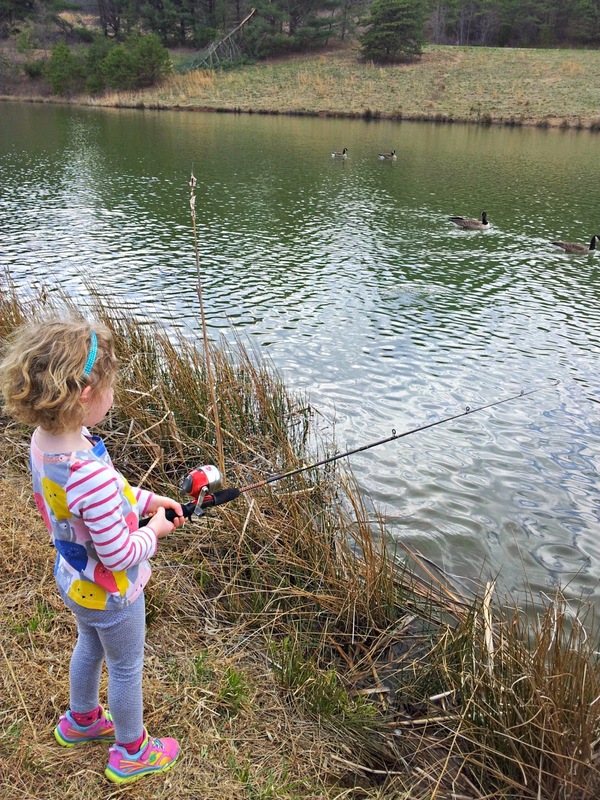 I will say that my little Diva loved the spa and fishing while my son loved hiking, geo-caching, and the ATV ride. I, of course, love a hotel that serves afternoon tea. 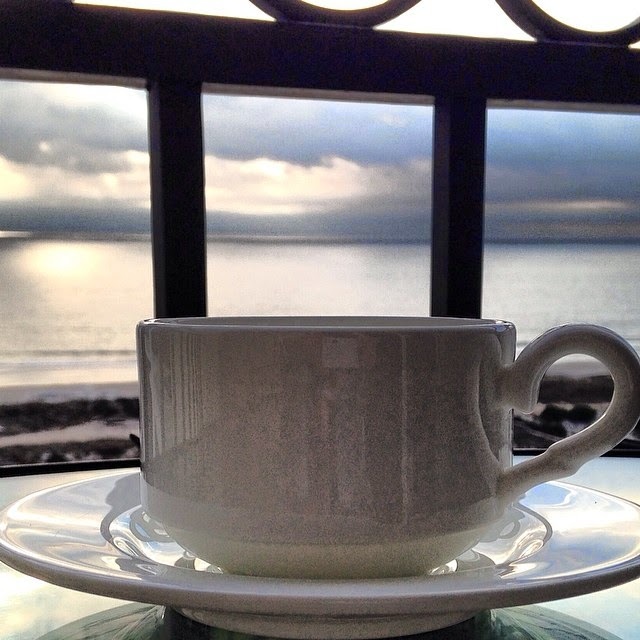 Primland's tea is simple,complimentary, and perfect for an afternoon pick me-up. Even the tea has a nature theme, and the gingerbread cookies were outstanding. Shh. I ate more than one. Every night, the hotel offers complimentary s'mores. 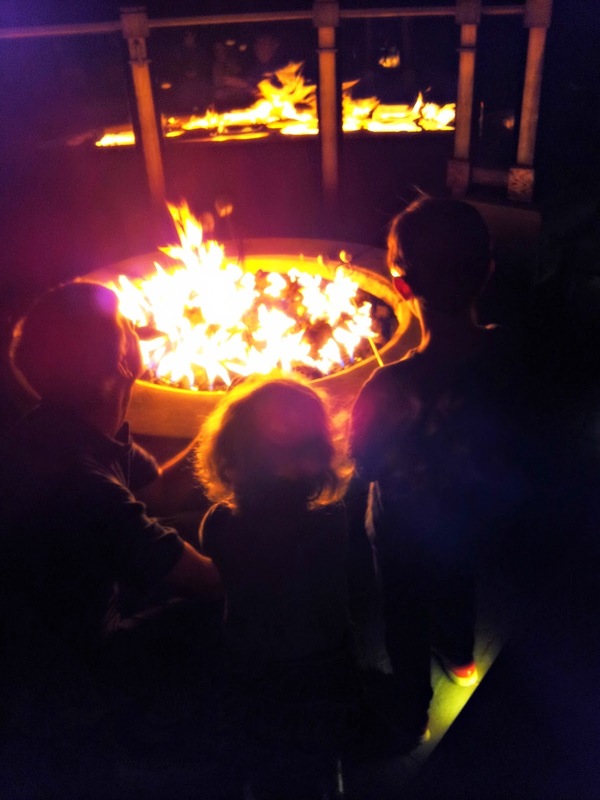 While Will and my son were in an astronomy lesson, I chatted with guests over S'mores. It turns out that every guest around the fire that night were from Raleigh. Lately, Will has developed an appreciation for astronomy. Unfortunately, the weather does not always cooperate for stargazing, and that was our case while visiting the resort. Primland also has an astronomer on staff, and houses telescopes that only can be found at major universities. When the weather cooperates, the astronomer takes the telescopes out onto the golf course for some of the best viewing in the resort's dark sky. Well, you know I write about luxury properties and unfortunately, they usually come with a price tag. But, my husband and I believe there is value in experiences like none other. 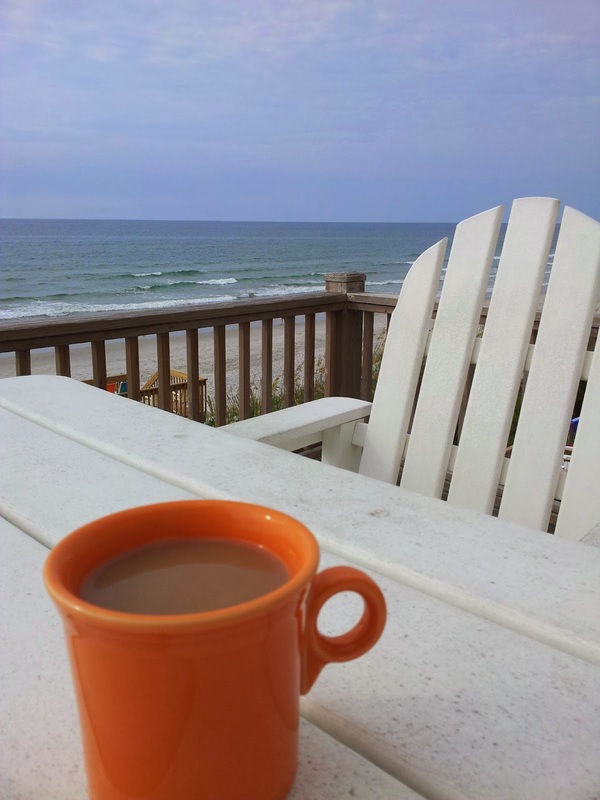 Of course, I can do the song and dance that I like the decor and the rooms are heavenly, but sometimes when you talk about costs, it's the overall experience that a property offers that wins out and becomes the driving factor in planning a vacation or choosing a resort. In my opinion, the nature surrounding Primland really helps set this property apart from other destination resorts. It's perfect for the family who wants to get in touch with nature, but who may have a mom in the family say, "Hell no, I'm not camping!" And look at the view you can get from your suite. Suites like we stayed in start at a rate of $425. The hotel does offer packages that do include resort activities. Mountain rooms, which are larger than average, start at $285 during the low season to $409 during the high season. There are also housing options that would suit multiple families. Sometimes, it's best to let the kids tell you what they think. 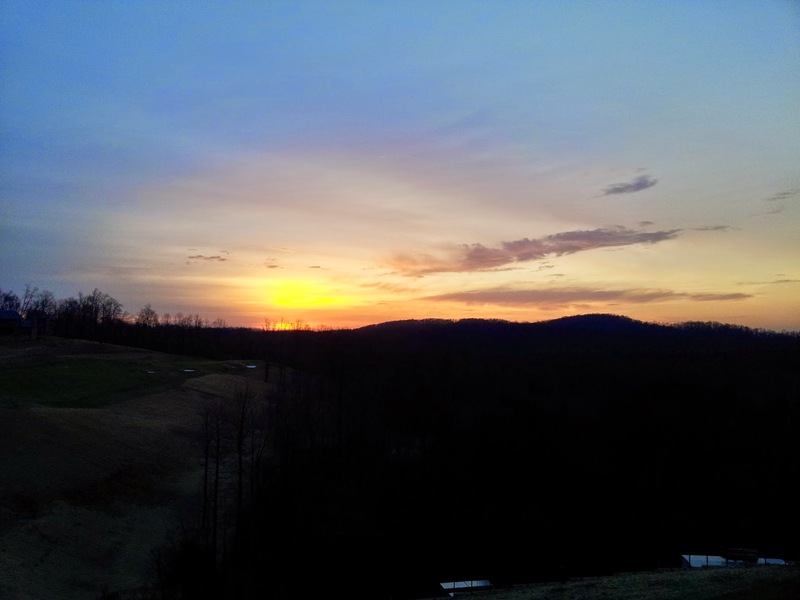 We did this interview on our last morning at the Primland Resort. We do hope to return again. 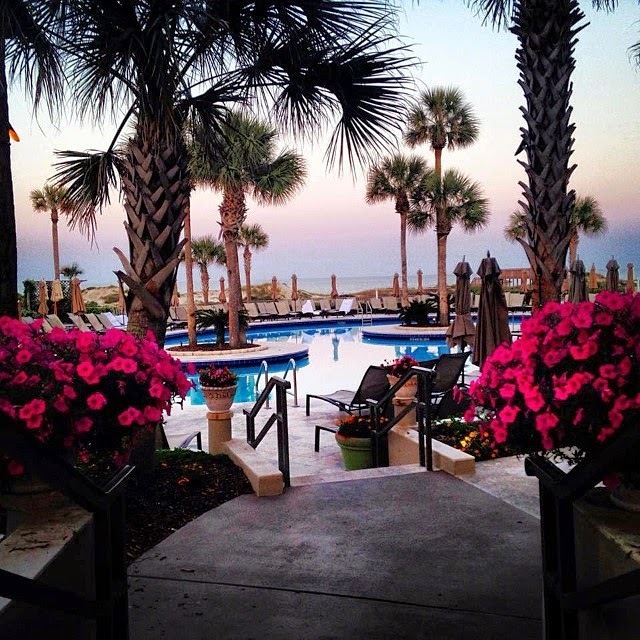 We will always have fond memories of this resort, and hope you will, too, if you decide to visit. 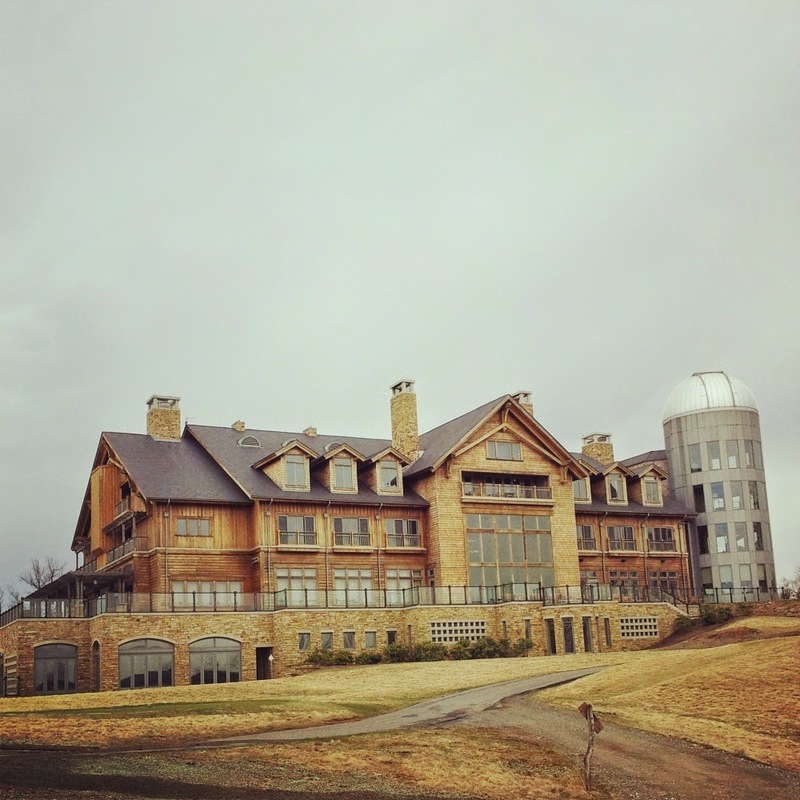 I was a media guest of the Primland Resort. My opinions and experiences are my own. Join us for #IGTRAVELThursday this week. 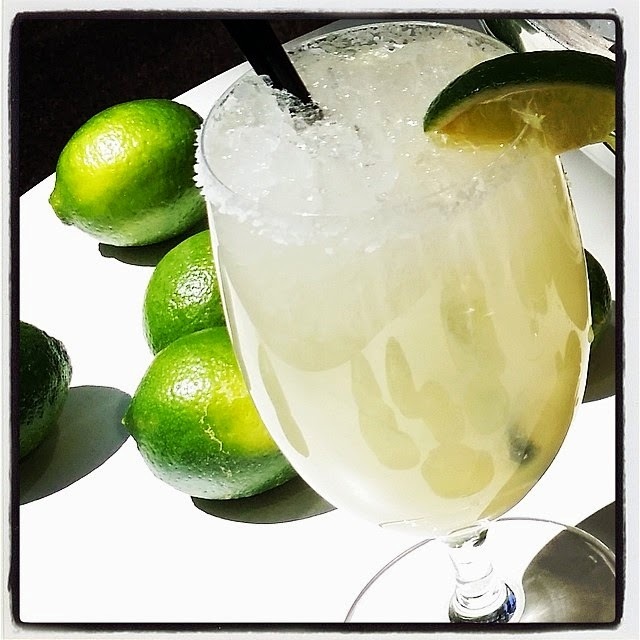 I was actually in bed with a fever on Cinco De Mayo so I did not get to have my absolute favorite drink on May 5. I did, however, swoon on Instagram when a few hotels posted what they serving. 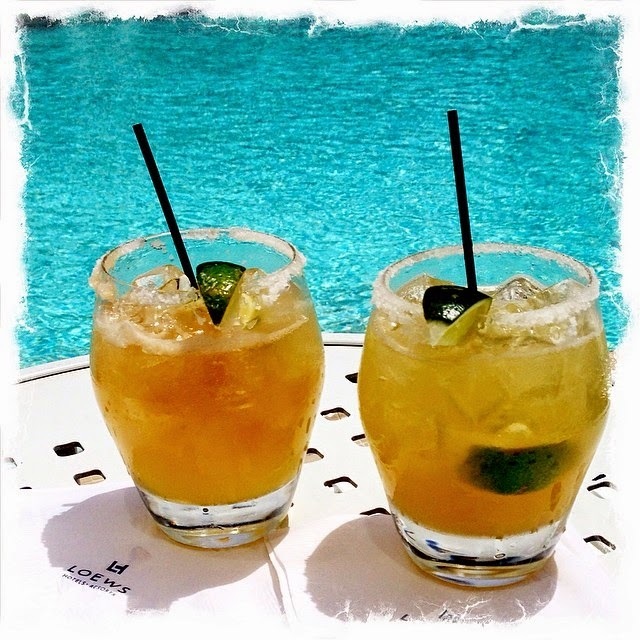 This week, I'm sharing five photos that make me want to check-in and have a MARGARITA pronto. 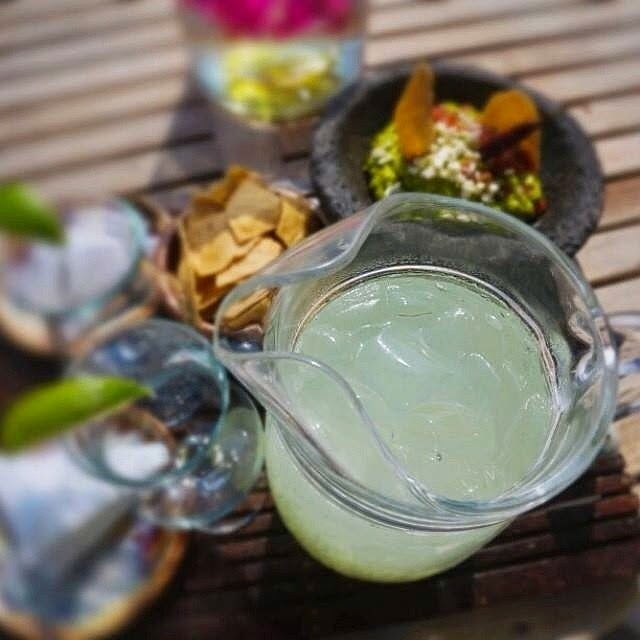 Margaritas served at Four Seasons Punta Mita via FourSeasons IG account. I am in a wedding this weekend. 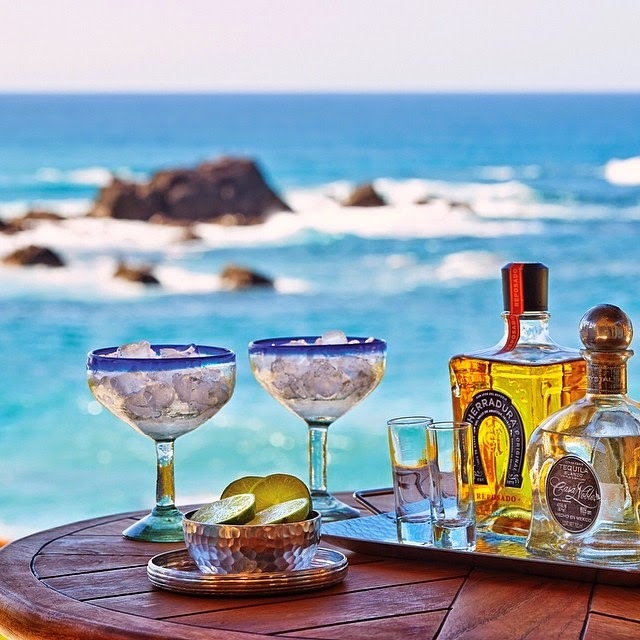 Who knows I may even have a margarita.